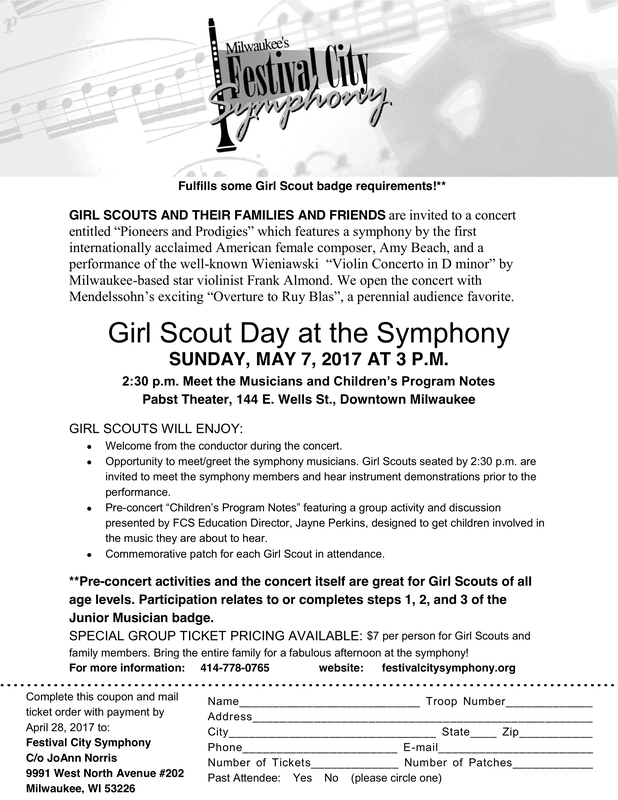 This year, the Girl Scout Day at the Symphony will be May 7, 2017, during the Pioneers and Prodigies concert featuring Frank Almond. 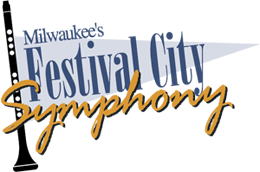 Print this coupon, fill it out, and mail it with payment to Festival City Symphony c/o JoAnn Norris, 9991 West North Avenue #202, Milwaukee, WI 53226. We’ll see you at the symphony!